GS Yuasa, the world’s leading battery manufacturer for automotive, motorcycle and industrial batteries, will exhibit its Yuasa and GS brands at the 25th Automechanika in Frankfurt, Germany. The battery manufacturer will showcase its latest cutting-edge technology and workshop initiatives at the event, as well as the new, enhanced YBX Automotive and YBX Active quality product ranges. 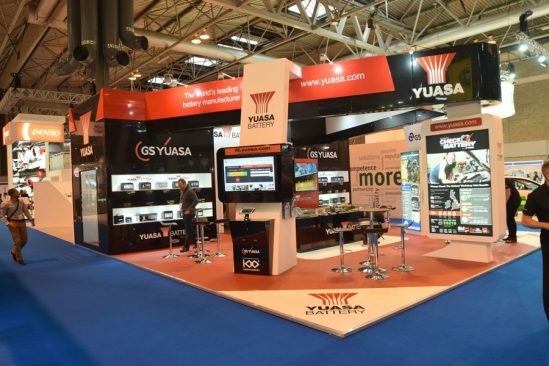 The attention-grabbing, interactive GS Yuasa exhibition stand will promote a wide range of Yuasa’s award-winning products and services – intended mainly for automotive workshop technicians and distributors. The Original Equipment YBX Automotive range is trusted by technicians and customers across Europe for its unrivalled quality, reliability and performance. Examples of Yuasa’s new-look YBX Automotive and YBX SHD Commercial Vehicle batteries will be unveiled (with their smart new design labels and enhanced features), alongside accessories such as Smart Chargers, Battery Analysers and the award-winning Yu-Fit tool. Modern leisure vehicles feature more technology and electrical appliances than ever before. Launched earlier this year, Yuasa’s brand-new YBX Active Leisure & Marine, Marine, and Specialist & Garden batteries are specially designed to provide dependable, stress-free power and long life. The Leisure & Marine and Marine ranges include batteries for caravans, motorhomes, boats and other leisure applications; and the Specialist & Garden range includes batteries for ride on mowers, kit cars, garden tractors and other equipment. GS is the leading automotive battery brand in Asia and many other parts of the world. Launched in Europe last summer, the GS Automotive range includes SMF; EFB & AGM Start-Stop; and Auxiliary, Backup & Specialist batteries for a range of vehicles, including conventional ignition and next generation cars and light vans. European customers can now enjoy outstanding reliability and power, perfected over a century of GS battery development. Used by over 80,000 mechanics and technicians, Yuasa’s Online Battery Lookup is Europe’s most powerful battery lookup system. 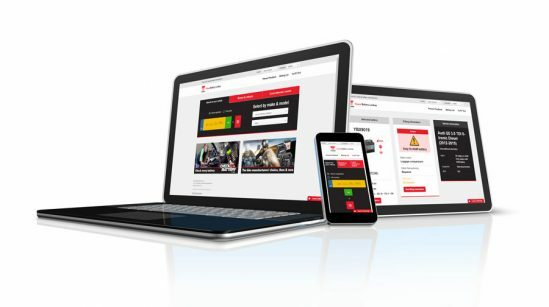 It is driven by an extensive European database and designed to save users time and money by allowing them to find the right battery and detailed fitting information quickly. Stand visitors will be able to claim their FREE Yuasa USB Smart Button for rapid access to the system. 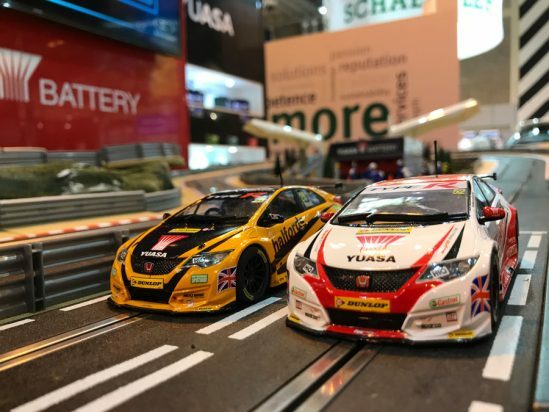 Yuasa is well known for its sponsorship within the British Touring Car Championship (BTCC), and you’ll be pleased to know that this year will see the return of the ever-popular, adrenaline-fuelled Scalextric racing circuit. Visitors will be able to choose from a range of mini Honda Yuasa Racing 2015, and Halfords Yuasa Racing 2016 and 2017 BTCC cars. They can then go head-to-head with their friends as they race on the purpose-built track! 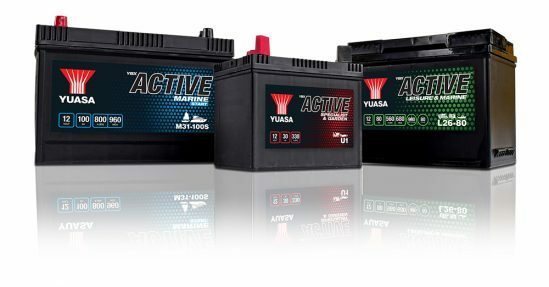 As the number one choice for automotive professionals worldwide, the award-winning GS Yuasa product range includes some of the most well-recognised, trusted and high-quality battery products for use in automotive, motorcycle, leisure, marine, commercial vehicle and industrial power applications. Automechanika Frankfurt is held at Messe Frankfurt, from 11 – 15 September 2018. GS Yuasa can be found in Hall 4.1 at stand F31.